It's not all about travel - What are you reading ? 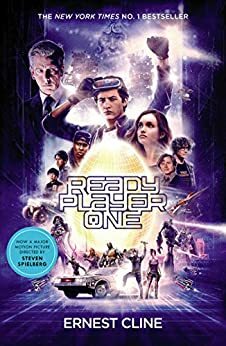 Largely a SciFi adventure based around video games and 80s memorabilia. Really enjoyed this and then watched the film, which wasn’t a particularly faithful adaptation but very good nonetheless and set to a rousing 80s soundtrack. Interestingly my daughter (who isn’t into any of these things) loved it too. A first novel, beautifully written by this Dunfermline writer, best known so far for her short stories and poetry. Tells the story of Mary McGregor, born in Edinburgh in 1950, but has lived before. She remembers her previous lives in the 18th and 19th centuries and can see people from the past, where there have been tragedies and injustices which have blighted lives, and which need to be resolved with the aid of people from the past, across three centuries and in current time. Although set in Edinburgh, the novel deals with universal themes of injustice, divisions in society, family issues and retribution. Introduced to this writer by a friend, I’ll be looking out for more. Currently reading all 22 of Muriel Spark’s novels, published in special editions to mark the hundredth anniversary of her birth. All are introduced by current writers. Have just completed her third: Memento Mori , introduced by Zoe Strachan. The novel opens with a telephone call and the words “Remember you must die”. Over several months, a circle of elderly men and women receive similar calls and everyone becomes a suspect. “Death, when it approaches, ought not to take one by surprise. Without an ever-present sense of death, life is insipid..
More entertaining than you might think, given my description !! Lethal White – Robert Galbraith (J.K. Rowling). Fourth in the ongoing story of Cormoran Strike and Robin Ellacott. The three previous Strike novels are: The Cuckoo’s Calling, The Silkworm and Career of Evil. 650 pages and a real page turner. Only available in hard back so far, but half price (£10) in WH Smith and Amazon among others. J.K. describes it as “one of the most challenging books I’ve written, but it’s also one of my favourites”. You know how you can tell when someone’s just passed away when entire complete works appear on the shelves of the British Heart Foundation ? This bookmark ribboned, gilt edged, olive hardback is an example of such from a complete works of Daphne Du Maurier “Not Before Midnight” is a collection five short stories first published ( and seemingly unread) from 1966. Obviously came from someone’s poseur adornment book cabinet. Very atmospheric writer Daphne Du Maurier, each story very different from the previous. As the title warns, better be jolly careful when I read these in case I have nightmares ! “Sketches by Boz” by Charles Dickens. Written when Dickens was in his early 20s between 1833 and 1836, around 500 pages, 56 observations on London life, form an excellent introduction to this master writer, for those who may find tackling whole Dickens novel a little daunting. In the introduction, Dickens himself says he only embarked on fiction writing as a “trifling sideline” to supplement his day job as a Parliamentary reporter. These “triflings” were to render him probably the finest prose writer England has ever known. Originally published as separate pieces in the local London press, This is dip-innable Dickens, whose many vivid accounts range from gin houses, boarding houses to London streets by day and night, hospitals, the Greenwich fair, Christmas, neighbours, drunkards, parks, coach men, inns, gentlemen of society and ladies of the night, Newgate gaol, street sellers, and all the many colourful characters who inhabited Victorian London. A place where poverty, squalor, disease and violence were widespread, igniting Dickens’ lifelong outrage and defiance at social injustice, which feature in his longer novels, yet never overshadowing Dickens’ eye for jollity, humanity and humour when describing ( and usually destroying with merciless sarcasm) the corrupt clergyman, mean mill owner or conniving politician . These colourful non-fiction articles, while written almost 200 years ago, are highly animated, many of Dickens’ vivid observations reflecting the darker side of human engagement which sadly still remain true to this day. This illustrated collection is supplemented with a dozen or so fictional stories with settings , themes and characters which were to develop in Dickens’ later famous novels. You can usually find a disowned hard back copy of “Sketches by Boz” gathering dust on the back shelf of every charity shop. If you haven’t given Dickens a go before now, start off with this one, you may well find it becomes a lifelong acquaintance. Well. yesterday I had an email from Gransnet to say I had won a book called Dark Tracks! No idea what it’s about yet, but it sounds intriguing. They would like a review once I have read it! Just recently read, ‘Face to face with Jesus’ by Samaa Habib. This is a fantastic – ‘must read book’ about a former Muslim’s extraordinary journey to Heaven and encounter with Jesus. It begins as a story taken from the headlines of the war-torn Middle East. It involves an extremist faction of Islam. A bomb goes off during a church service and 500 people try and escape through one door. Some are killed. Samaa was thrown 10 feet into the air and smashed against a wall. She was deafened and blinded and her whole body felt like it was on fire. She was choking and fighting for breath before everything went black and her spirit left her body. What happened after that was amazing and a miracle occurred…………need to read it, you won’t be able to put it down! The Ultimate Potato Cook Book (non fiction, Index Publishing 1997), edited by Rachel Carter. A handy tome for the kitchen top which is published incorporating its own hardback A4 portrait fold out stand alone support flap so you can stand this book upright on a kitchen surface during preparation of the many dishes depicted and described therein. Potato gratin, potato croquettes, potatoes Dauphinoise, potatoes Anna, Potato salad, potato and polenta bread, potato rosti, Polish potato cakes, potato latkes, potato empamandas, potato Porcini bake, and of course, crinkle cut potato chips. Seventeen different varieties of potato, from the King Edward to the Maris Piper, their vices and virtues discussed at length, lavishly colour illustrated. A must for any potato face ! are these destinations booked, or in the offing? A mixture Gill. All but California booked. Our road trip in the USA next year is a work in progress.